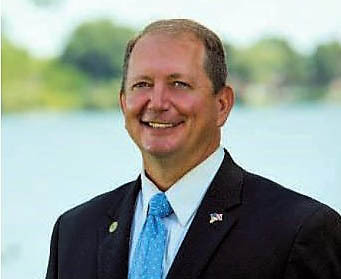 CRYSTAL LAKE - State Representative Barbara Wheeler (R-Crystal Lake) announced today that she has endorsed Lake County Board Member Tom Weber to replace her as State Representative in District 64 for the term beginning in January 2019. Tom Weber statement regarding campaign kickoff event. 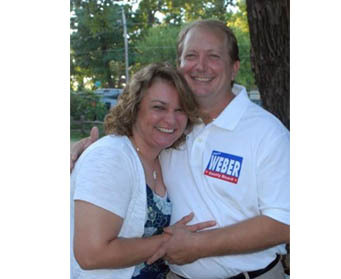 Weber is running to replace Barb Wheeler, who announced in July, she would not seek reelection. 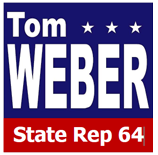 Former United States Congressman (IL 8) and current nationally syndicated radio talk show host Joe Walsh has endorsed Lake County Board Member Tom Weber, for IL State Rep, 64th District. "More than anything right now, Illinois needs independent fighters,” Walsh said. "People who will go down to Springfield and fight for Illinois taxpayers. People who will fight to stop the exodus out of the state. Tom will be that fighter. I've known Tom for seven years, he's a true limited government Conservative. And he is so accessible to his constituents. He's what the people of this district need. No one will work harder than Tom Weber." 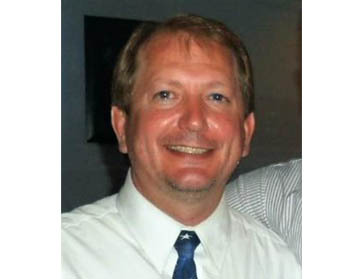 Tom Weber, "I am honored to have the endorsement of Congressman Joe Walsh. Joe and I both agree that Illinois is worth fighting for. I will be a strong voice for the residents of District 64 in Springfield." Lake Villa resident and Lake County Board Member Tom Weber, small business owner and a conservative Republican, announced his candidacy today for Illinois State Representative in District 64, currently held by Barbara Wheeler. Wheeler recently announced she will not seek re-election in 2018. “It is an honor serving the residents of my district on the County Board. However, I feel I can serve them better in Springfield. Taxpayers don’t need people giving up, they need an advocate willing to fight for them. This is why I have decided to enter the race for State Representative. Currently I am Lake County Board Member and Chairman of the Planning Building and Zoning Committee, Board Member Lake County Forest Preserve District, Board Member University of Illinois Extension Advisory Council for Lake and McHenry Counties, Board of Directors for the Youth Conservation Corp and Board of Directors for Busy Brains Children’s Museum.